Copper prices fared well in 2017, breaking $7,000 per tonne for the first time in several years. In 2018, that upward momentum has not continued — the red metal has oscillated so far this year, with the general trend being downward. Still, many CEOs are bullish and some analysts are “cautiously optimistic” on copper for 2018. With many factors at play, it’s hard to say which way things will go in the end; however, it’s possible to make educated guesses based on top news stories, and market supply and demand. To make an informed prediction, it’s well worth looking at copper production by country numbers. According to the latest US Geological Survey data, global copper production reached 19.7 million MT in 2017. That’s down about 400,000 MT from the previous year. Which country was the top producer in 2017? Chile took the top spot again by a long shot, although some of the others on the list may surprise you. Read on to find out which nations made the grade. Copper production fell in Chile for the second year in a row, settling at 5.33 million MT. Nevertheless, it was still the largest copper producer worldwide by far in 2017. The fall may have been caused in part by policies set up by President Michelle Bachelet; a strike at BHP Billiton’s (ASX:BHP,NYSE:BHP,LSE:BLT) Escondida mine may also have played a role. The Escondida strike was reportedly the longest in recent Chilean mining history. Some market watchers have also cited maintenance work at another large mine as a cause for the decline. Production in 2018 may be impacted again by Escondida, as another strike may be on the horizon. Peru had a good year, with copper production increasing moderately from 2.34 million MT in 2016 to 2.39 million MT in 2017. The main copper operations in Peru include Anglo American’s (LSE:AAL) Quellaveco mine and Southern Copper’s (NYSE:SCCO) Tia Maria mine. The country’s production was likely bolstered last year by a large investment of US$28.27 billion in Peru’s copper mines. The increase also came despite a number of strikes, like the one seen at Freeport-McMoRan’s (NYSE:FCX) Cerro Verde mine in March. In November of that year, another strike hit the nation’s mining industry, this time at Southern Copper’s two mines, Cuajone and Toquepala. In mid-2018, Anglo American announced plans to proceed with its Quellaveco mine, which will reportedly cost US$6 billion over four years. The company de-risked the project by increasing Mitsubishi’s (OTMKTS:MSBHY) share from 18.1 percent to 40 percent in exchange for US$833 million. China, the world’s largest copper consumer, remained in the third place for 2017. Its production fell again last year, this time coming in at 1.86 million MT. It also saw a drop in copper imports, as it has cut down on refinery and blast furnace production as part of its anti-pollution program. China’s decision to place bans on copper scrap imports may play a role in keeping copper prices boosted as demand for refined copper is expected to increase. Zijin Mining Group (SHA:601899) is a leading metal producer in China. The company owns the Zijinshan gold-copper mine, as well as the Shuguang gold-copper mine. It’s worth mentioning the trade war between the US and China that has emerged in 2018 — it has meant high tariffs for Chinese exports, and some reports claim manufacturing work, which requires copper, has been cooling as a result. Copper production decreased in the US in 2017, sinking from 1.43 million MT to 1.27 million MT. According to the US Geological Survey, the decline was due to lower ore grades and technical issues resulting from bad weather. There were also planned maintenance shutdowns and a fatal accident that resulted in a six-week suspension at a smelter. Most of the country’s production comes from 23 mines in Arizona, New Mexico, Utah, Nevada, Montana and Michigan; those states account for 99 percent of the country’s mine production. Rio Tinto’s (NYSE:RIO,ASX:RIO,LSE:RIO) Bingham Canyon copper mine — a major contributor to US copper production — reached a labor contract agreement with four unions back in April. The trade war mentioned above also of course affects the US. With China being a major consumer of the red metal, these tensions could mean that the US will cool its own copper production if it doesn’t have enough buyers. It is currently too early to tell how this situation may play out. Australia’s copper production dropped by 28,000 MT in 2017. During the year, production decreased significantly at BHP Billiton’s Olympic Dam mine. The company’s operational review for the last half of 2017 states that there was a 31-percent reduction in production compared with the previous year. This was due to a “planned major smelter maintenance campaign.” The maintenance has since been completed and the mine has resumed production. The country was able to maintain relatively steady production despite the impact of heavy rainfall and Cyclone Debbie, one of the worst cyclones to hit Queensland in recent history. Looking forward, Australia’s Department of Industry, Innovation and Science has forecasted that domestic copper exports will increase by 15 percent on the back of higher production in the next two years. Copper production in the Congo increased slightly from 846,000 MT in 2016 to 850,000 MT in 2017. The Katanga mine, which is operated by Glencore (LSE:GLEN), is one of the Congo’s major copper producers. It suspended its copper production in 2015 due to low copper prices, but resumed production in December 2017. 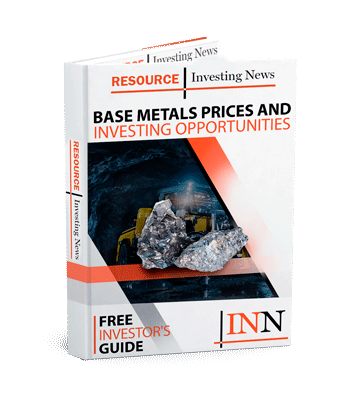 The resumption has many market watchers hoping for high copper production numbers in 2018, with Glencore’s CFO predicting that the mine will put out 150,000 tonnes of copper this year and 300,000 tonnes in 2019. That would be a large contribution to the Congo’s overall numbers for the year. Zambia’s copper production declined a little in 2017, with most citing lower production at the Konkola copper mine, owned by a subsidiary of Vedanta Resources (LSE:VED). The cause for the fall in production at Konkola is thought to be lower-grade ores. The government had hoped that copper production would reach 850,000 tonnes last year due to “expansion at existing mines and ongoing greenfield projects,” according to Reuters. However, power supply and infrastructure were barriers to reaching that goal. Power supply in particular has become a hot topic since electricity prices in Zambia are set to soar once planned energy subsidies are removed. The company has allocated part of its capital investment budget to complete the expansion of its Toquepala mine. 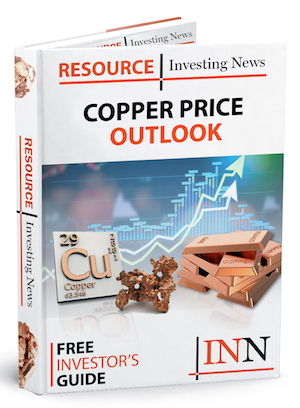 Grupo Mexico predicts it will increase its copper production by 69 percent in 2018. New to the list of top copper producers is Indonesia, coming in ninth place. The country’s copper production went down last year, dropping from 727,000 MT in 2016 to 650,000 MT in 2017. One of Indonesia’s major mines is Freeport-McMoRan’s Grasberg mine. Freeport began open-pit mining at the mine in 1990, and is currently mining the final phase of the Grasberg open pit, which contains both high-grade copper and gold. In the coming quarters, the company plans transition to underground mining. Last year, Freeport cut its copper guidance due to problems with its mining license. Canadian copper production also decreased in 2017, leaving it at the bottom of the list. Canada’s production came in at 620,000 MT relative to 708,000 MT the previous year. While the strong US dollar may be putting pressure on copper prices, the exchange rate can be a boon for Canadian producers that record costs in Canadian dollars, but sell in US dollars. Teck Resources (TSX:TECK.B,NYSE:TCK) is one of the country’s major copper producers. Another large producer is Taseko Mines, whose BC-based Gibraltar copper-molybdenum mine is the second-largest open-pit copper mine in Canada. Across the country in Ontario, the Sudbury Complex is a productive copper-mining camp, with large miners KGHM (WSE:KGH) and Vale (NYSE:VALE) operating in the region. We wondered that too. We asked the US Geological Survey, and learned that while Russia is still a major copper producer, its production in 2017 simply fell short of the 10 countries on the list. It has been in the top 10 in previous years. Which country do you believe will have the highest copper production in 2018?